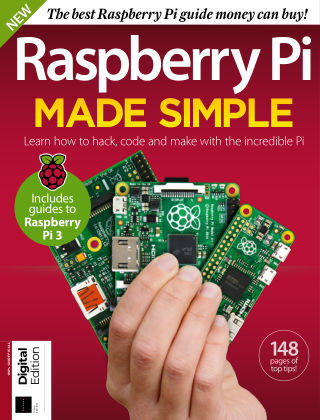 With Readly you can read Raspberry Pi Made Simple and thousands of other magazines on your tablet and smartphone. Get access to all with just one subscription. New releases and back issues – all included. "More than just a tiny computer, the Raspberry Pi is potential; its open nature unlocks the potential for all of us old and new, beginners and experts, to build new projects, start new classes, learn new things and create fresh communities eager to make the most of this tiny PC. If you’re new to Pi, then by picking up this book you’ve taken your first steps on a new and exciting adventure. We’re going to show you how to set up your Raspberry Pi, get everything connected, create your bootable SD card and get to grips with the Raspberry Pi’s software. We’ll also look at how you can start coding the fun way and then take a look at a host of fun and useful Raspberry Pi projects, including the phenomenal Minecraft! So, what are you waiting for? "